Known to shamans since the ancient times for its intense psychoactive properties, Salvia divinorum is one of the most mysterious and unpredictable tools of psychological exploration we know of. Nature is the greatest source of psychoactive materials, especially if we are talking about hallucinogens and deliriants. Of course, Mother Nature hasn’t been equally generous in all places, so some regions feature a much greater variety of hallucinogenic plants than others. Mexico is certainly one location known for an abundance of such plants, and Salvia divinorum is a great example of a traditional intoxicant from this part of the world that remains a source of curiosity even today. This magical plant has been used for centuries by local shamans to induce visions and perform rituals, and it has recently been rediscovered by groups of people interested in altered states of consciousness. Salvia divinorum is a plant native to the distant area of Siera Mazateca in Mexico, where it can be found in the wild. It is a bushy species that can grow to measure more than one meter in height, with plenty of leaf material that contains the active component known as Salvinorin A. This substance is a very strong k-opioid and agonist of D2 receptors, which explains its potent pharmacological impact even in minimal doses. In modern times, the plant is often grown indoors throughout the world rather than imported from Mexico.The plant doesn’t produce any seeds and must be reproduced clonally, which fuels debate whether Salvia is, in fact, a hybrid of two different species. Traditionally, Salvia was consumed fresh, either by eating the leaves or drinking their juice mixed with water, but most contemporary users prefer smoking dried leaves as this method displays the highest potency. It can also be consumed in the form of a tincture, with just a few drops of the extract sufficient to trigger the effects. The plant doesn’t produce any seeds and must be reproduced clonally, which fuels debate whether Salvia is, in fact, a hybrid of two different species. Traditionally, Salvia was consumed fresh, either by eating the leaves or drinking their juice mixed with water, but most contemporary users prefer smoking dried leaves as this method displays the highest potency. It can also be consumed in the form of a tincture, with just a few drops of the extract sufficient to trigger the effects. This hallucinogenic plant has long been associated with shamanic practices, namely those of the Mazatec ethnic group from Mesoamerica. Strong visions and feeling of spiritual wellbeing caused by Salvia are the reasons why it was chosen for this role, while its low toxicity in comparison with hallucinogenic cacti and mushrooms might have been contributing factors, as well. It remained relatively unknown to the general public for a long time, even as other naturally occurring psychedelic drugs such as peyote acquired global prominence in the mid-20th century. It only came into focus a decade ago or so, when reports of use started surfacing on internet platforms like YouTube, where a large number of people first heard of this powerful drug. Since then, it has resided on the fringes of the drug culture, with a considerable number of worldwide aficionados but far from the level of mass-consumed drugs like ecstasy or marijuana. The state of mind of a person on Salvia has been described as a ‘visit to another dimension’ since the hallucinations are far more immersive than with conventional drugs like LSD. Users feel completely detached from their bodies and find themselves in a different place, a realm where they can achieve magical feats like flying or transforming into inanimate objects. Many users report interactions with entities inhabiting the alternative dimension, with most of those encounters being of friendly nature. Another peculiarity of a salvia trip is its duration, which is extremely short and doesn’t exceed several minutes, although the period might seem longer subjectively due to time distortion. The visions stop very suddenly and without warning – users sometimes feel like they are yanked back into reality and want to go back to the dreamlike place where Salvia took them. The spiritual quality of the experience is a recurring theme, too, even if the visions are not necessarily highly religious and may be related to trivial objects or ideas. While mental pictures seen by users are very colourful, their physical behaviour is almost completely passive, as they are unaware of their bodies and surroundings and typically spend the critical minutes slumped back in a chair or a couch. Among the reasons for the renewed interest in Salvia, its relatively harmless character probably tops the list. It is not very addictive or physically damaging, while the effects wear off completely within less than half an hour without leaving any residual confusion or discomfort. That makes it far less disruptive than a vast majority of other hallucinogenic drugs, which typically cause mind alterations that span hours if not days. Regular daily use of Salvia is almost unheard of, as the drug doesn’t create the urge to repeat the experience ad infinitum and often brings a sense of closure after just one or a few sessions. Curiously, the plant is not illegal to grow, possess or consume in a large number of jurisdictions including the United Kingdom and nearly half of U.S. states. 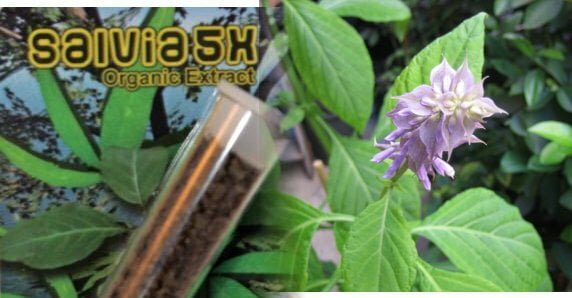 Since it can also be ordered online, Salvia is increasingly viewed as a safer and less troublesome alternative to other naturally occurring mind-expanding drugs like magic mushrooms or ayahuasca. There have been initiatives to enforce stricter bans on this plant, but for now its rarity and obscurity have provided sufficient protection from legislative challenges. Can you get high from cacao?